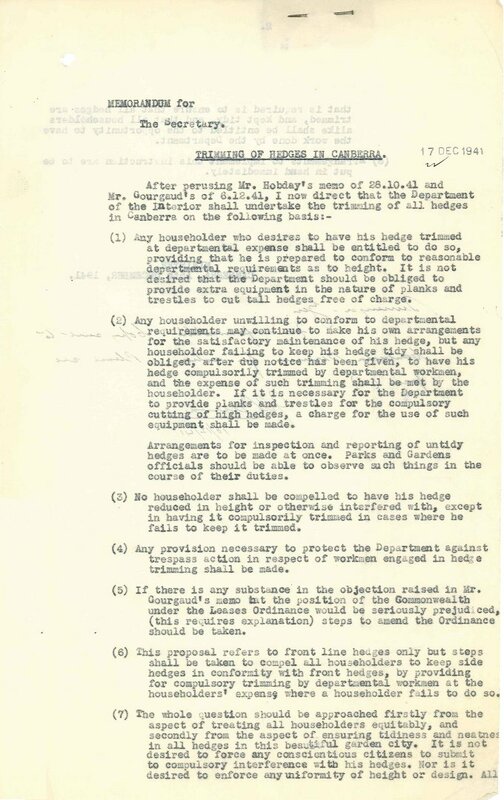 Canberra faced many challenges during the early years of World War II. 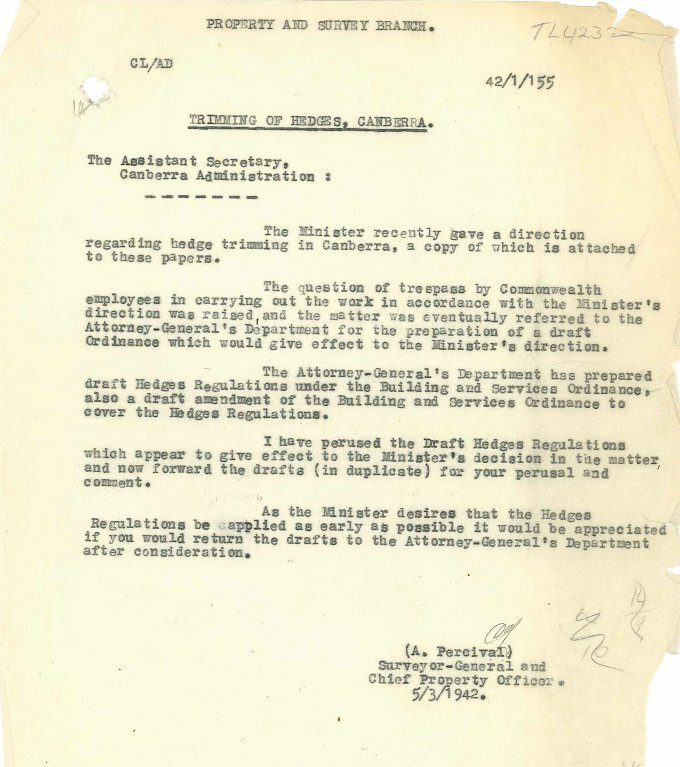 The war slowed progress on planning and development with the National Capital Planning & Development Committee, who had previously met monthly, was now having irregular meetings. 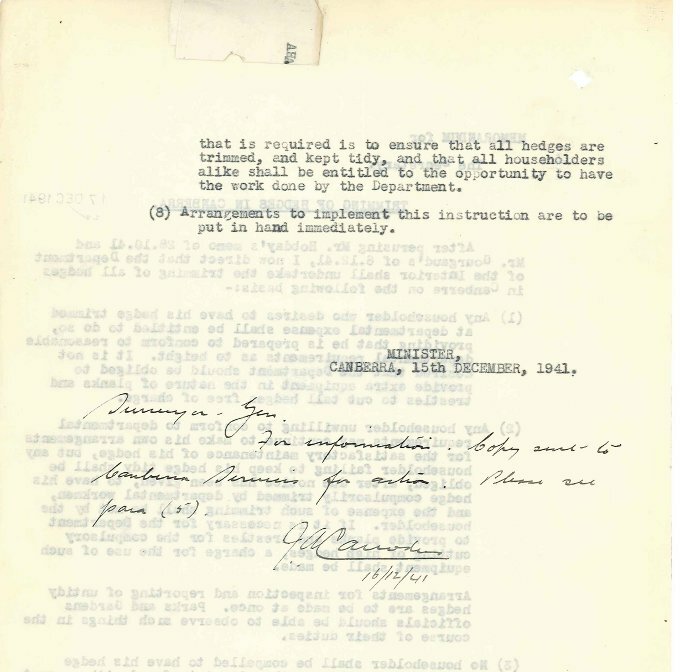 Canberra’s population growth slowed as resources and man-power were directed towards the war effort. 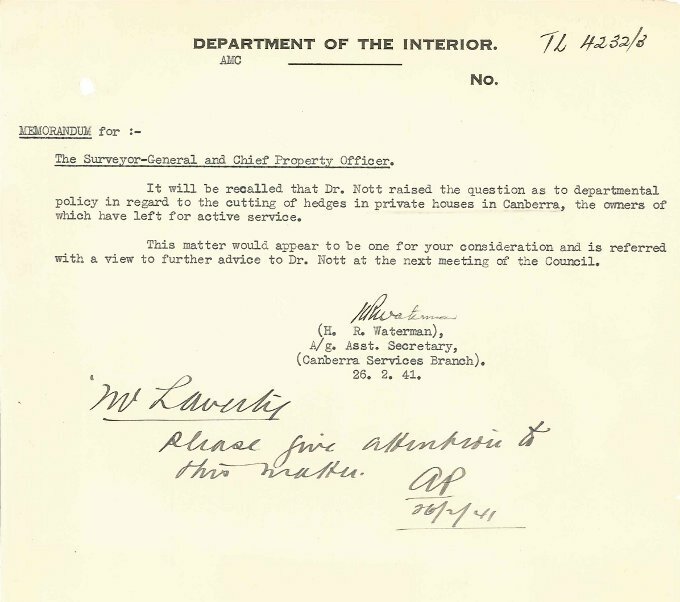 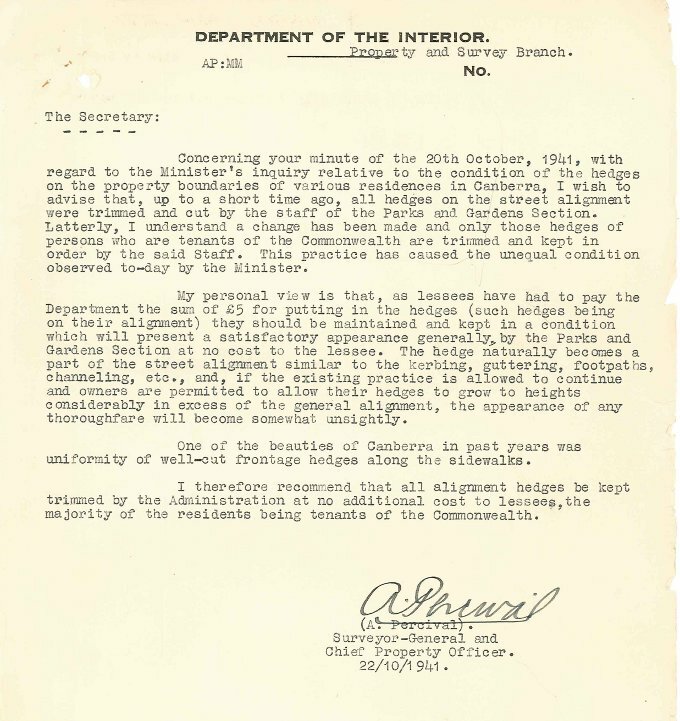 However, being Canberra some issues did arise to keep the Department of the Interior staff busy. 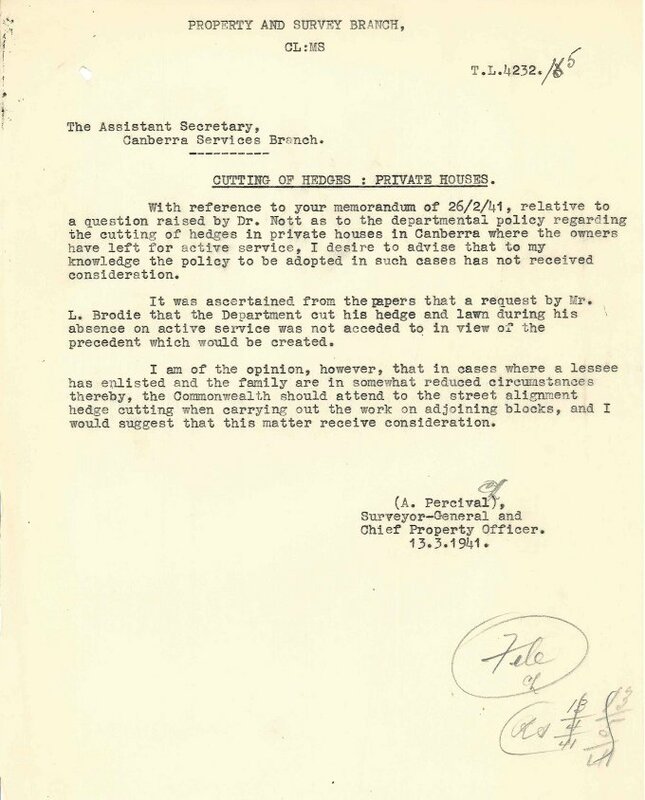 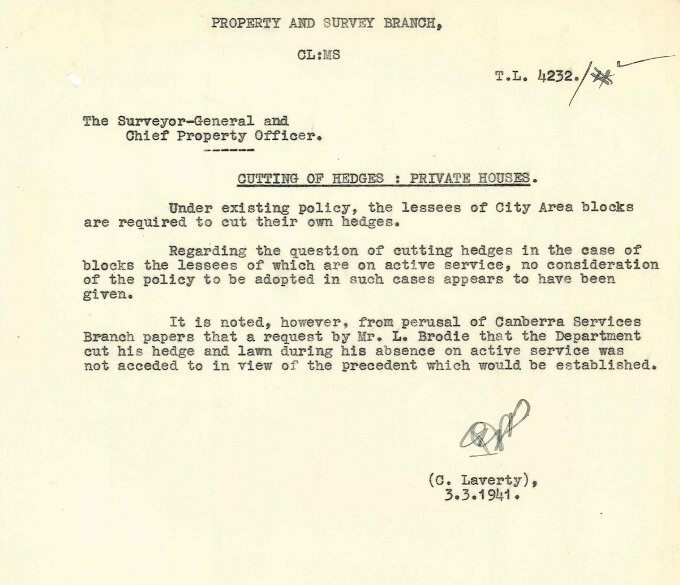 Exactly who cut the front hedges of privately owned homes received a lot of attention during 1941 after a request by Mr L. Brodie to the Department to “cut his hedge and lawn during his absence on active service”. 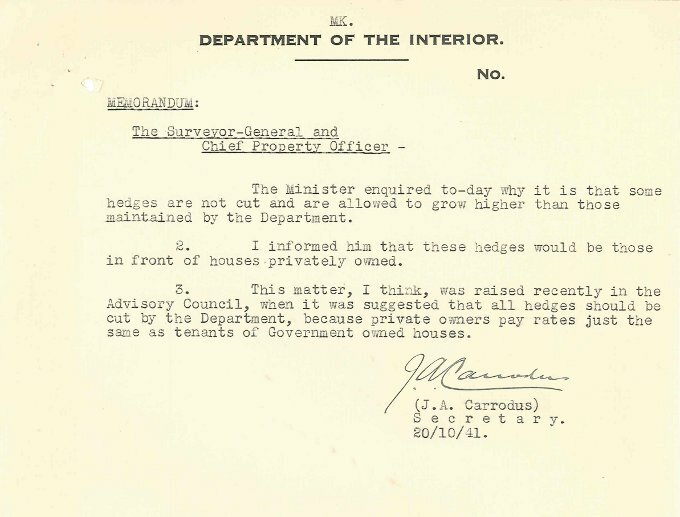 The file 56/537 – (TL4232) Question of Cost of Planting Hedges on Private Properties documents this issue as well as unevenness in hedge trimmings between private and government owned properties and whether Commonwealth employees would be breaching trespass laws whilst carrying out hedge trimming on private properties. 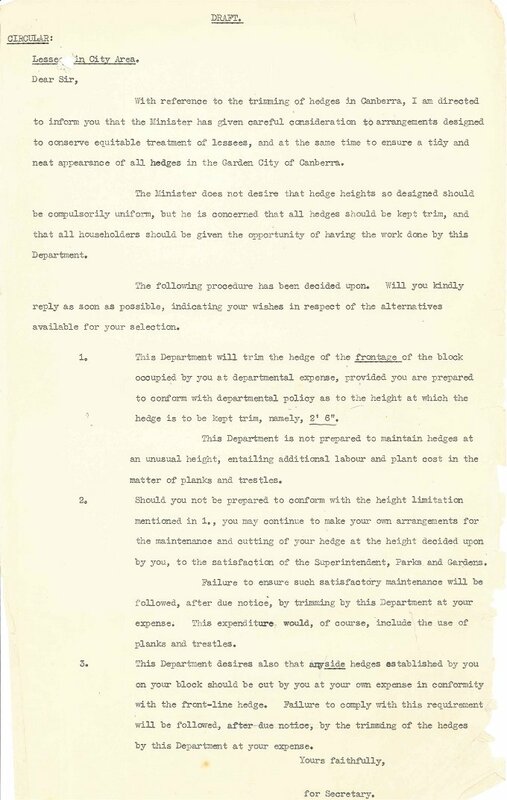 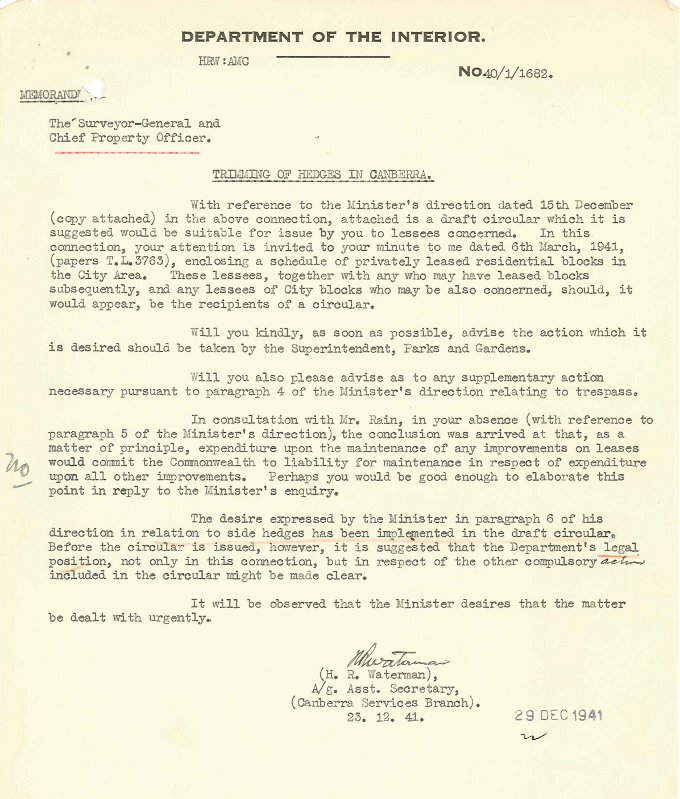 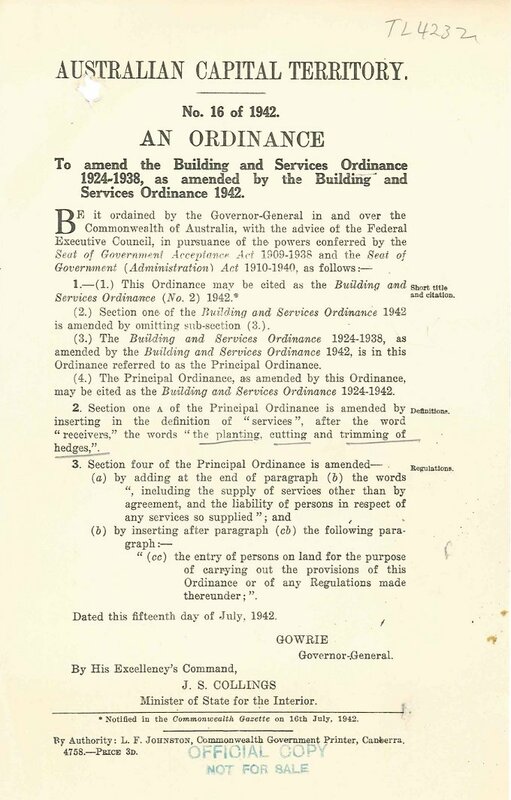 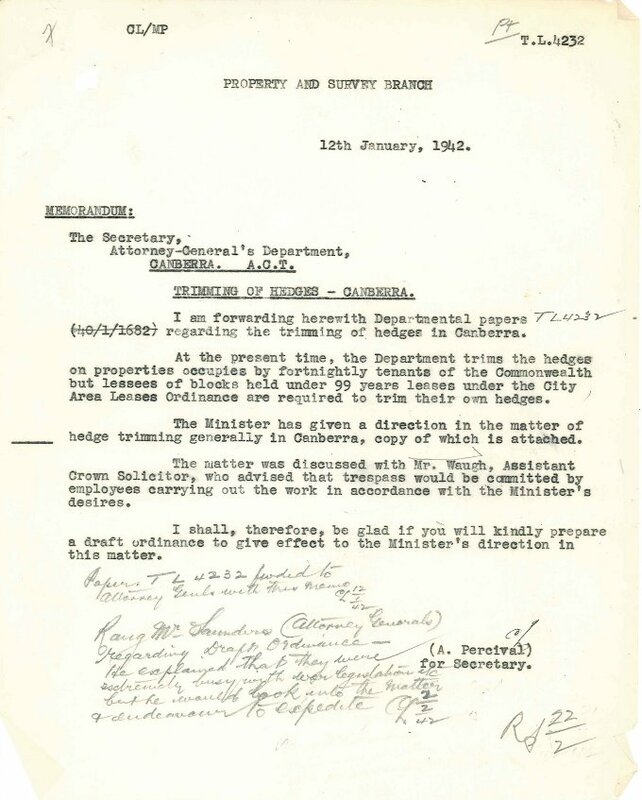 To ensure Commonwealth hedge trimmers had right of entry to private properties, the Building and Services Ordinance 1924-1942 was amended on 16th July 1942 to include “planting, cutting and trimming of hedges” as part of the definition of “Services”.